Many famous people and important world leaders attract fans who are simply crazy about them. Unfortunately, that has led to many attacks, and in some severe cases, the deaths of the famous person at the hands of their ‘fans.’ Because of these events, it is common for celebrities to hire bodyguards to protect them from fans getting too close. 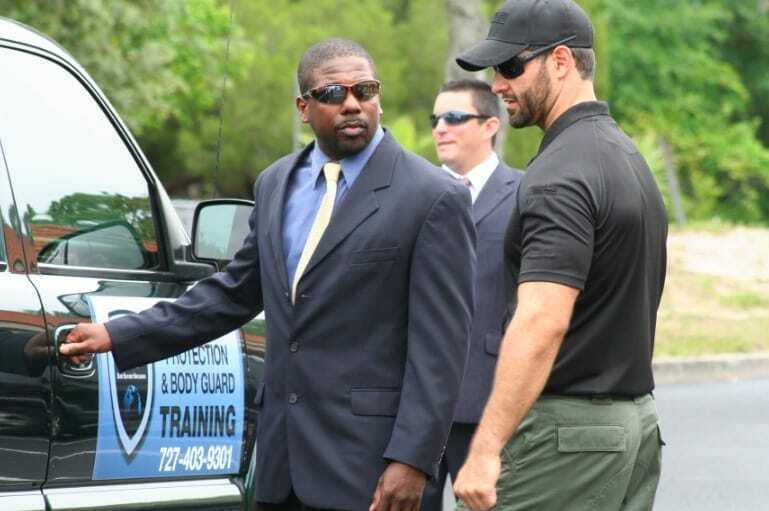 Here are eleven secrets of bodyguards. Sometimes having a huge hulking mass of meat following you can make you stand out, especially in a crowd. Often it is better to have a smaller and less conspicuous protector, to make sure you can pass through unnoticed. 50 Cent’s former bodyguard, Anton Kalaydjian, says shopping for a bodyguard is similar to shopping for a car – it depends on the situation as to what car you’ll need. Kent Moyer, a former bodyguard for Hugh Hefner, admits that if your bodyguard is resorting to using their gun, then they have failed. He added that the role of the bodyguard is to evacuate and take cover, not engage in an all-action shoot-out. Unsurprisingly, when people get fired, they can be a little bit upset. Security firms are called in when companies are firing people, due to the fear of violent reactions. Founder of Integrated Security, Alan Schissel, confirms they are asked to perform their jobs with discretion in those circumstances. Gossip sites are proving invaluable for celebrity protectors. They can discover which celebrities are having protection issues and basically swoop in and offer their services. Moyer reckons the photographers used on the site can provide training opportunities for protection staff to identify how to do their jobs better. Just because they are associated with these famous people doesn’t mean they get to have the same lives. At the end of the day, they are there to protect their client. Kalaydjian references that although they live in the same house as the celebrities, they don’t get to join in on the pool parties. Occasionally a celebrity looking to climb the fame ladder will hire beefy dudes to follow them to appear more important than they are. This is a status symbol rather than them actually fearing for their safety. Many stars understand how to work a crowd and employing bodyguards is merely an extension of that. Bodyguards will scope out locations before their clients head there, which means they know the quickest point of entry and exit as well as understanding the layouts of the buildings. Moyer reckons that this can increase the star’s productivity as they don’t have to wander around wasting time looking for entrances and exits to film studios. Some bodyguards are so attracted to the limelight their clients have they can’t help but try and get a piece. Posting such pictures on social media is a big red flag when Kalaydjian is looking to hire more staff. Celebrities engaging on social media can be problematic for bodyguards as they are often giving away their locations. Something that can make them easier to target. If they are seen on Snapchat in a mall, hundreds of people could end up flocking there to them. It may seem like the stars are the ones hiring an entourage of protectors but actually the movie or TV show they are working on foot the bill to protect their assets. 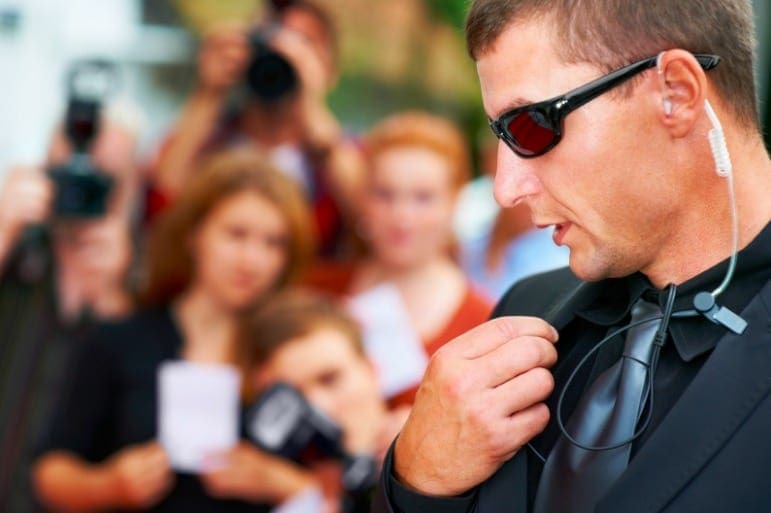 Seeking a more professional image, many bodyguards prefer to be called protection agents. The term bodyguard has negative connotations, linked with huge men with no skill but lots of brawn. Many of these bodyguards are childhood friends of the star and have no qualifications to do the job, something the celebrity will hope they don’t find out the hard way. That was a glimpse into the world of protection and the pitfalls that some guards face. They do not have as much fun as we may have thought they would, but we can bet their lives are never dull. A sign of success for a bodyguard is avoiding conflict at all times, anything less is considered failure.